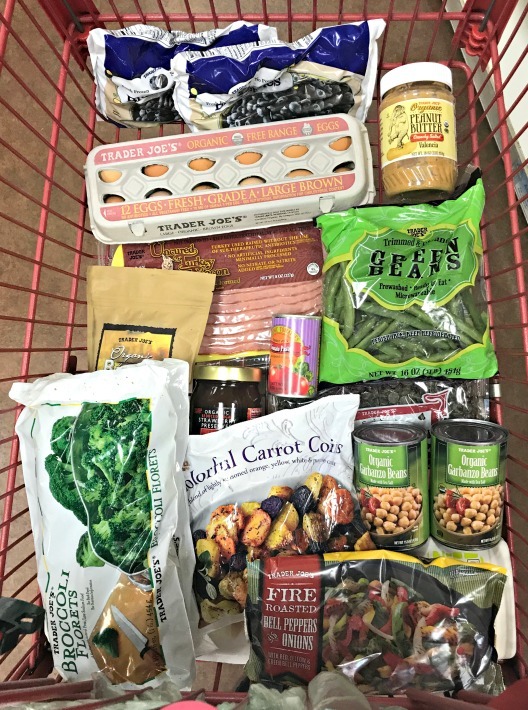 Yesterday’s Trader Joe’s Shop + Loving The Colorful Carrot Coins! It snowed a few inches yesterday morning but the roads were totally clear by the time I went to Trader Joe’s. I’m not really sure where this sudden burst of snow came from but thank goodness it wasn’t worse because I really needed to go food shopping! It had easily been a week, if not more, since I last went to Trader Joe’s. Remember I mentioned the new colorful carrot coins last week? Well, I am so glad that I bought them! They are so delicious and easy to heat up. I definitely need to buy a few bags when I return to Trader Joe’s next week. I’m trying really hard to make sure we eat at home during the week even though my son always has a reason, excuse, explanation as to why we need to go out for dinner. I’ve hit the point where I tell him that dinner will be at home unless he wants to pay for his own meal somewhere else. There’s this one vegetarian dish I’ve been making myself over and over to the point where I should just document it, regardless of how basic it is, and share it as a recipe. 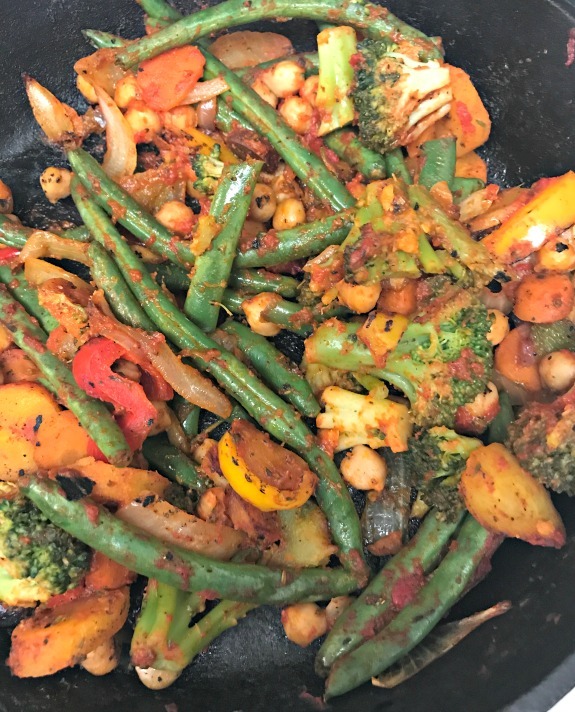 I added the colorful carrot coins to the pan last night, along with my other latest vegetable obsession come dinner time – fresh green beans. Hopefully in the next week or so I can put this together as a recipe. So it’s frigid here this morning and supposed to snow again later today. Thankfully not a huge storm or anything, but this weather is winter enough to place me inside on the treadmill today AND tomorrow. I think I will be checking out my Don’t Hate The Treadmill Workout Round Up for some inspiration. Have a great weekend! How is the weather where you live? Are you supposed to get any snow today or over the weekend? Will you be running on the treadmill? Where have you been doing most of your grocery shopping lately? 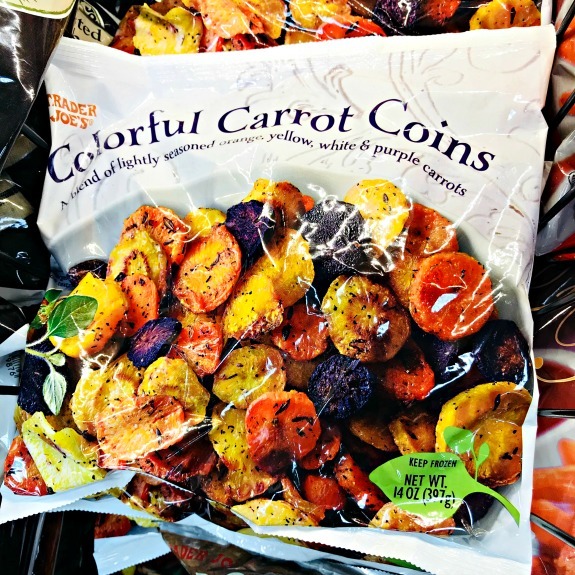 Have you tried the new colorful carrot coins? I really need to get those carrots next time I’m at Trader Joe’s. They seem like such an easy veggie for any meal. We’re supposed to get a few inches here but nothing major. Have a great Friday! LOL that snow was a surprise yesterday, and I didn’t look outside… I nursed Zander and got us all suited up to go for a run in the BOB and then it was snowing. Since we were bundled up I put the plastic cover on the stroller and we did three miles anyway… then stayed inside the rest of the day warming up! It was chilly this morning (in the 30s) but is supposed to be 70 today. Got to love SoCal! Marissa @ Run Riss Run recently posted…Goals! Its snowing here this afternoon and really came as a surprise. Its cold enough to cause a huge mess! I am wishing I already had a treadmill in case the roads and streets are still bad tomorrow morning. 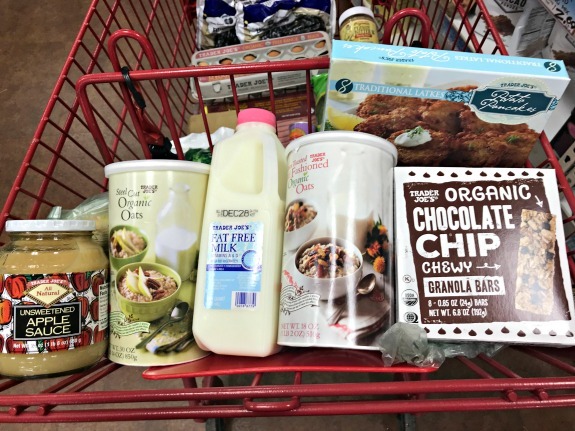 I love a good grocery haul post. I just went shopping yesterday in an attempt to eat more at home too. I do have plans to go out tomorrow night, but hopefully I can cook most of the rest of the week.